"When I have a problem on an nVidia, I assume that it is my fault. With anyone else's drivers, I assume it is their fault." The graphics card is one of the fundamental elements of the graphics chain. The latest generations of graphics cards have become so complex (millions of transistors, GPU, memories of a number of hundreds of mega-octets, programming language, ..) that they resemble real miniaturised computers. To this extent, the 3D engine, another fundamental link in the graphics chain, boasts itself as being the graphics card�s operating system as it allows the developer to profit of its resources to the maximum. The graphics card�s place has become more and more important in the current computer and to such a point that the next version of the Windows (Vista) operrating system, expected in 2006, will require a card supporting DirectX9 in order to run the new Microsoft OS user interface AeroGlass. As soon as one touches on the realtime 3D field, the graphics card arrives in first place, whereas for most of the classic applications (word processing, spreadsheets, databases, internet, ...), it is secondary. Why? To attain this level of reality, the algorithms used are always more complex and their use requires more and more calculating power. Not long ago, this calculating power was entirely furnished by the computer�s principal processor (or CPU). And this up to the time when nVidia, already known for its RIVA chipsets, introduced the first graphics chip capable of taking charge of a part of the calculus: the reknowned GeForce 256. And suddenly nVidia took the opportunity to create a new 3 letter acronym: GPU (Graphics Processing Unit). Shortly afterwards, the most serious competitor of nVidia, which is none other than ATI, also imposed its terminology: VPU (Visual Processing Unit). However, as is often the case, it is the first acronym that one retains. Without entering into too much detail, the novelty introduced by GeForce 256 is T&L still named Transform And Lighting module. The T&L is a small calculation unit, the sole role of which is to take charge of the calculus necessary for the transformation of the vertices (the summits of 3D objects) and of those for the lighting applied to these vertices. This calculus is none other than vectorial calculus (that is to say that the entities entering into this calculus are vectors) and bitmaps (matrix concatenation, matrix and vector multiplication). All these calculations are rather large (you just need to open a maths book at the vector calculus chapter to be convinced). The calculation is repeated for each vertex (a single 3D summit) which means that as soon as a 3D object is dense (composed of a large number of vertices) the CPU on its own can no longer follow the rhythm and maintain fluidity on the screen. One considers that a 3D scene is fluid when the number of frames per second (FPS) is over 30. The idea, therefore, was to transfer these calculations onto a graphics card and nVidia created the event with GeForce 256. This principle remained in force until the introduction of programable shaders such as the GeForces 3, 4 and more especially FX. Prior to the introduction of programable shaders, les fonctions of the T&L and Texturing modules were hardware implemented and engraved on a silicium chip for eternity. Rapidly one noticed that the 3D renderings all resembled each other: even when the 3D objects or the textures were different, the scene�s global atmosphere was similar. And this, in our quest for reality by using more and more impressive special effects, was intolerable! fig. 4 - Realistic rendering using the vertex and pixel shaders. fig. 5 - Vertex and Pixel Shaders. These vertex and pixels shaders, also called programable shaders, were initially programmed in the graphic processor�s language, that is to say assembler. As usual, the GPU assembler permitted almost complete control of the instructions (necessary to reduce the number of instructions and thus increase the performance) but was relatively difficult to write, to read (just try to understand the funtionning of a reflection/refraction algorithm coded in part with DP3, ADD, RSQ and other MOV and MAD) and moreover to maintain. Because a programme is alive and one must let it evolve. Thus to raise the language level, and therefore that of the intention, languages of a high level called HLSL for High Level Shading Language have been created. The support of these languages is very recent (about a year) and it has become the new Eldorado of the 3D programming gurus. For example, let us see the difference between the assembler code and that of HLSL to standardise a vector.H. If you do not know what normalizing a vector signifies, it is not important. What is important is to see the evolution of the languages and their differences. I think it is sufficiently clear. Now that you have seen the hardware side of the graphics cards (even if we have not evoqued the terms AGP or PCI-Express which strictly concern the hardware side), we will talk about the standards which regulate the world of 3D graphics cards. Two names come to mind immediately: OpenGL and Direct3D. The current graphics cards, be they equipped with chipsets from nVidia (GeForce series) or from ATI (Radeon series), support these 2 standards. What is the use of these standards and why are there two? 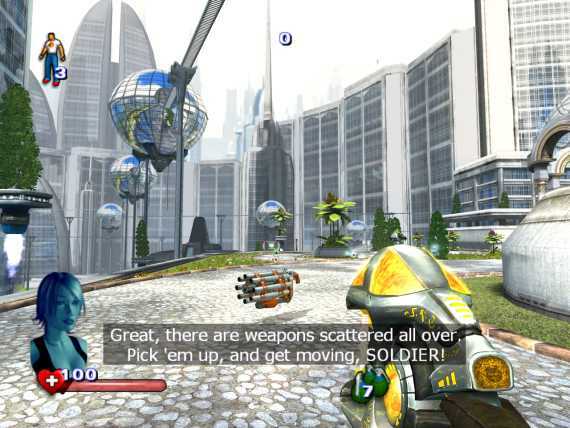 From the point of view of the 3D solutions developer, the graphics card is a small computer which one must be able to programme in order to subdue these millions of transistors and show 3D scenes as quickly as lightning such as those seen in the latest games, for instance Doom 3 (figure 6), Need For Speed Underground 2 (figure 7) or Serious Sam 2 (figure 8 � really excellent for letting off steam that one!). 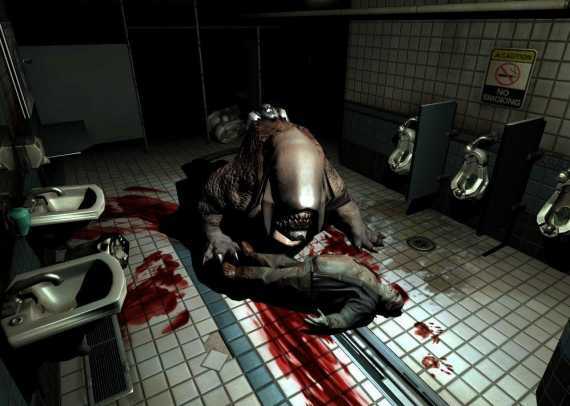 fig.6 - Doom3 � Copyright 2004 ID Software. fig. 7 - Need For Speed Underground 2 � Copyright 2004 Electronic Art Inc. 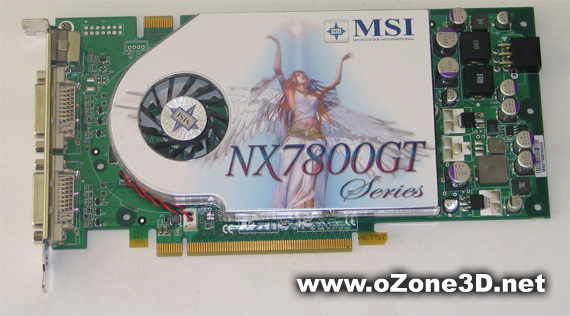 The graphics card is hardware which is under the control of the computer�s operating system. One therefore cannot have access to it to programme it directly. The modern operating systems such as Windows or Linux run all the peripherals with particular software layers called drivers. Therefore in order to be able to acceed to the card and to drive it (really! ), you need to dispose of good drivers. By default, the Windows system installs drivers called generic drivers because they are valid for all graphics cards. The graphics cards, no matter where they come from, have the same basic functions (amongst others that of showing a pixel on the screen) and therefore a generic driver is capable of running the graphics card�s basic functions (luckily, otherwise we would only have a miserable black screen...). But to use the particular specifications of each board, you must know them. And as it is not possible for the operating system to know every card of each manufacturer, it is up to the driver, fournished with the graphics card, to make the graphics chip�s inherent functions available in a standardised manner. 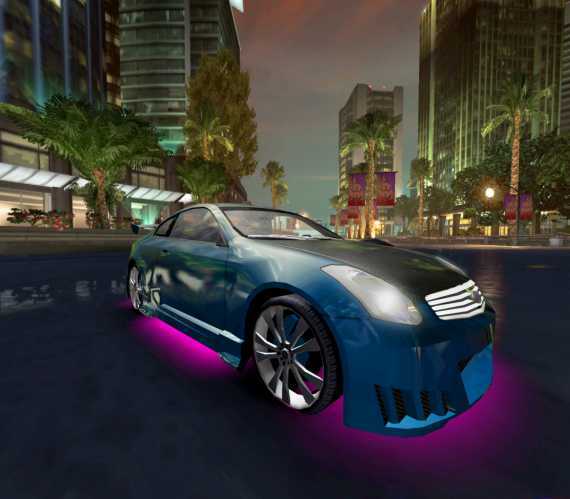 Once the graphics drivers installed, the 3D applications programmer can finally take control of the GPU and make the pixels danse on the screen. To do so, he can use the two standards offered by a standardised programming interface (that is to say that the programming will be the same no matter which graphics card is used): OpenGL and Direct3D. 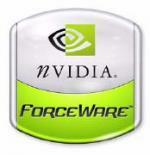 These two standards are implemented in the graphics drivers by the card�s creator (nVidia or ATI). 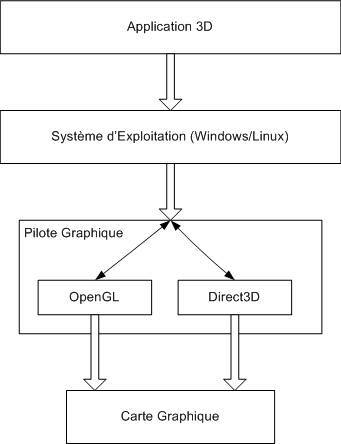 OpenGL is considered by the 3D programming puristse as being the realtime 3D standard. OpenGLhas its origin in the first API (Application Programming Interface � another name for standard) developed by SiliconGraphics at the beginning of the nineties: IrisGL. This API rapidly became so popular with the SGI developers (acronym for SiliconGraphics) that SGI decided to make it an open standard. OpenGL is born (OpenGL = Open Graphics Library). OpenGL is the 3D standard used on most of the operating systems (Windows, Unix, Linux, ...) and very often the only one available (MacOS, Linux, Symbian, ...). The most recent version of OpenGL is the 2.0. This version supports all the latest 3D technological innovations. At the end of the nineties, Microsoft was obliged to react in order to attract the greatest possible number of video game developpers to its flagship product, I mean Windows. The problem was that at the end of the nineties, graphics programming under Windows was far from being operational. OpenGL was there but was more especially implemented in the industrial sector (work stations under Unix) and was very badly (or even not at all) supported by general public solutions. There were therefore very few means for video game developers under Windows. Microsoft took note of this and proposed DirectX, a multimedia applications programming library under Windows. DirectX permits one to programme the sound card, the keyboard, the mouse, the network, and above all the 3D card. The programming section of the 3D card is called Direct3D. 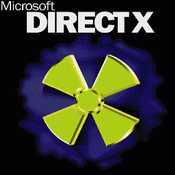 DirectX, and moreso Direct3D, are only available under Windows. Let us say, for argument�s sake, that this is the essential difference between the two standards. 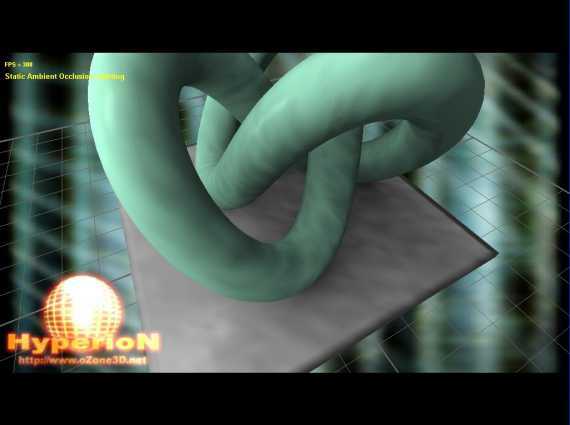 In fact, OpenGL and Direct3D have evolved in a similar fashion and, like good wine, they have improved over the years. The 2 standards proposed practically the same functions for attacking the graphics card and are perfectly tolerated by all the 3D graphics cards on the market (particularly those equipped with the nVidia or ATI chipsets). But let us not forget that the drivers serve only to make the functions of the graphics card accessible in a standardised manner. This means that if the card does not have these functions (for example tolerating the vertex and pixel shader) the driver cannot change anything. Therefore depending on the application that one would like to use (3D modelisation software, video games, or Demoniak3D ...) one must correctly choose one�s 3D card among the overabundance existing on the market and then update the graphics driver with the latest version available on the manufacturer�s site. To convince you, here is an example of a bug on a new function which was rampant on all ATI Catalysts. It concerns the support of the new (old now!) function called point_sprite. 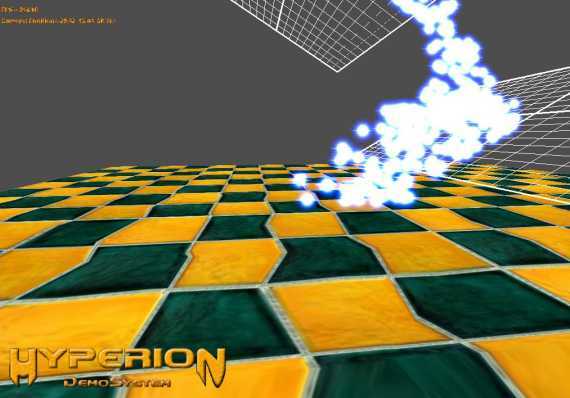 This function is very useful with the particle system which permits acceleration of the rendering. As you can see in figure 13, the texture rendering is completely deformed on a large portion of the screen. This bug was corrected in Catalyst 5.2. This example shows how important it is to update the graphics card�s drivers as soon as new versions are available. Another point to approach is that of the framerate or more simply FPS (Frames Per Second). This indicator is simply the reference value when you need to know if a graphics card is correctly set up, if the drivers are well installed, and if the card is sufficiently powerful to run the 3D application software (but the latter depends a lot on the 3D application and the 3D driver: if the application is badly coded and not optimised, even a high class 3D card will not work). 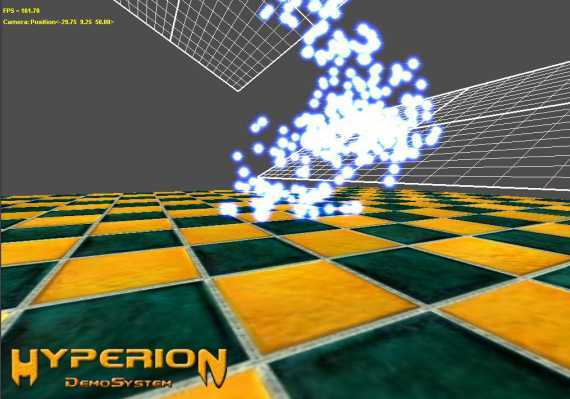 The FPS represents the number of frames per second. A frame is the classic name for a screen rendering. When one speaks of 60 FPS, this means that the graphics system is capable of rendering the 3D scene 60 times per second on the screen. where pow() is the mathematical operator power (pow(x, n) reads x power n), and FPS1, FPS2 and FPS3 are respectively the FPS of parts 1, 2 and 3 of the benchmark. The only inconvenience of a benchmark such as this, is the complexity of the setting up (downloading, installation and benchmark runtime). The problem with classic benchmarks is that they give a global result of the graphics system�s performance. But each graphics card is different and therefore proposes different performances at each level of the 3D pipeline. These cards perform very well at the T&L module level, others at the Texturing level, yet others manage memory transfer well (particularly interesting if the application uses a lot of dynamic textures). Suffocate SB01: this bench uses the shadow volumes and the particle system and is fairly general. The number of FPS is closely linked with the idea of fluidity. How does one know if a realtime 3D rendering is fluid? Simply by looking at the number of FPS whenever this is possible. Perfect fluidity is obtained as soon as one exceeds 50-60 FPS. At such a level, the 3D application�s time of reaction to the user�s input is imperceptible and the notion of realtime has complete signification. A FPS of 20 for example, permits us to appreciate a video game but one will have a sensation of slackening due to this low FPS. 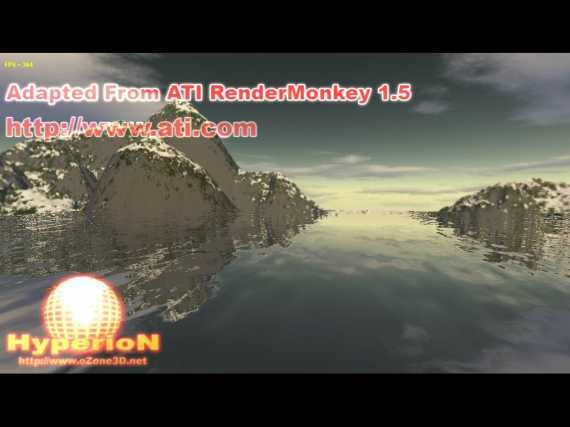 Below 10 FPS, the 3D application is no longer realtime and rather tends towards a slide-show! In order to choose one�s graphics card and to master it, it is important to know the 3D card�s basic architecture and fonctions. As we explained earlier, the modern 3D cards support OpenGL as well as Direct3D. For a simple reason: the 3D pipeline is the same no matter which API is used. Therefore the technical characteristics of a 3D card are valid for both 2 API. Here we go, let�s begin to examine our hardware. First of all, we will look at the simplified hardware scheme which is present on a graphics card. This scheme is valid for all cards. One can distinguish the 3 main components: the GPU, the video random access memory and the RAMDAC. Let us begin with the last one, that is to say the RAMDAC. RAMDAC signifies Random Access Memory Digital Analogic Converter. The RAMDAC permits the conversion of numeric data from the video random access memory (commonly named frame buffer) into analogical data which will be sent to the screen. The performances of the RAMDAC, which are given in Mhz, are to be studied with care. where width and height are respectively the width and height of the screen in pixels (1024x768, 1280x1024, ...), Vfreq is the refreshing frequence and 1.32 is a factor which takes into account the inertia of the cathode ray tube�s electron gun (the gun loses roughly 32% of its time in horizontal and vertical movements). Armed with this relationship, let us make a few small calculations. let us say 147 Mhz. Therefore the actual RAMDAC frequency of 3D cards is amply sufficient. But the RAMDAC is only necessary for CRT type screens (cathode ray tube). In the case of numeric screens (flat screens), the RAMDAC has no use because analogical numeric conversion is useless. The video output in this case is directly connected to the graphics card�s framebuffer. It is for this reason that the recent graphics cards dispose normally of two outputs: the CRT output for the classic cathode ray tude screens and the DVI output (Digital Video Interface) for numeric screens. Now, let us have a look at the video memory. This memory�s principal function is to stock all the data that the graphics processor (the GPU) must deal with. It goes without saying that the quantity of memory is an important factor even if today it is rare to find graphics cards with less than 128M of video RAM. But what data are we speaking of exactly ? let us say 5.7M. Is it really useful to have a graphics card with 128M memory to do office automation? The reply is no. As far as 3D applications are concerned, things become complicated, as always in the 3D world. The frame buffer: it is here that the definite image which will be shown on the screen is stocked. The frame buffer is also called color buffer. The back buffer: this is the memory zone which stocks the rendersing of a scene during its creation. Once the rendering of the scene is finished, the back buffer becomes the frame buffer and vice versa. This technique is known as double buffering and permits stable and net posting. The back buffer is the same size as the frame buffer. The depth, stencil and accumulation buffers: the depth and stencil buffers are fundamental in the rendering of a 3D scene. The first, the depth buffer, is capital because thanks to it we will be able to show 3D objects in a correct manner, that is to say that the far distant objects will not be shown in front of those which are the closest to the camera. The depth buffer is also called Z-Buffer. The stencil buffer is greatly employed for all sorts of graphics effects of which the most in vogue at the moment are the famous shadow volumes. The accumulation buffer, as far as it is concerned, is mainly used for realtime soft-focus effects. The size of the depth buffer depends on the precision of the test, 16 or 32 bits. In the latter case, the size of the depth buffer is calculated by width x height * 4. The vertex buffer: memory zone which has appeared in the latest generations of 3D cards and which are made to stock the 3D objects� vertices (VBO or Vertex Buffer Object in OpenGL). The size is variable. The texture buffer: this zone is the largest because it is here that all the textures used by the 3D application will be stocked. When one knows that one texture only of 2048x2048 in 24 bits occupies roughly 12Mo, one easily understands why the texture buffer is given the lion�s share of the video memory. fig. 19 - Private Museum DemoThe demo in figure 19, Private Museum is an example of the use of the frame buffer, back buffer, vertex buffer, stencil buffer and texture buffer. The GPU, which for memory signifies Graphics Processing Unit, is the graphics card�s principle feature. 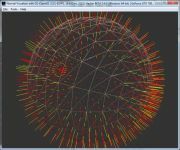 The GPU is responsible for all the 3D calculations: transformation of the vertices (rotation, translation and scaling), calculation of the lighting, creation of triangles, texturing and other effects such as fog, rasterisation (transformation of the triangle into pixels in the frame buffer). The notion of a triangle is relatively important because modern 3D cards are specially optimised for the rendering of triangles. The triangle is the basic geometric primitive (of course after the vertex and the line). All 3D forms may be modelised in the form of triangles. No matter which way to modelise a 3D form (polygonal, nurbs, ...), this form is finally converted into triangles by the 3D engine before being presented to the graphic card. Moreover the triangle is the most rapid primitive to render (drawing and filling): it is quicker to render 2 triangles rather than a quadrangle (primitve base having 4 sides) forming a square. 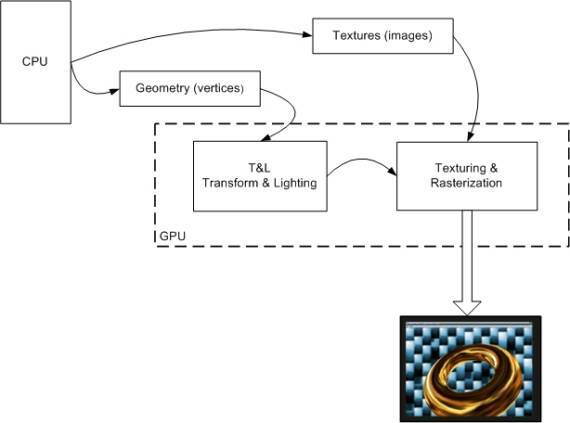 The functions of the GPU are numerous (vertex and pixel shader, shader model, trilinear and anisotropic filtering, anti-aliasing, vertex buffer, cube and bump mapping, and yet others). We need not mention here all that exceed the subject of this chapter. Each of the functions of the GPU will be seen in detail in the other tutorials available on the site. Each type of GPU possesses a code name which it is necessary to know because one comes across them fairly often (the technical characteristics of the card, specialised magazines, web sites, ...). I will only mention the code names of the two main manufacturers: nVidia et ATI. Page generated in 0.0018820762634277 seconds.